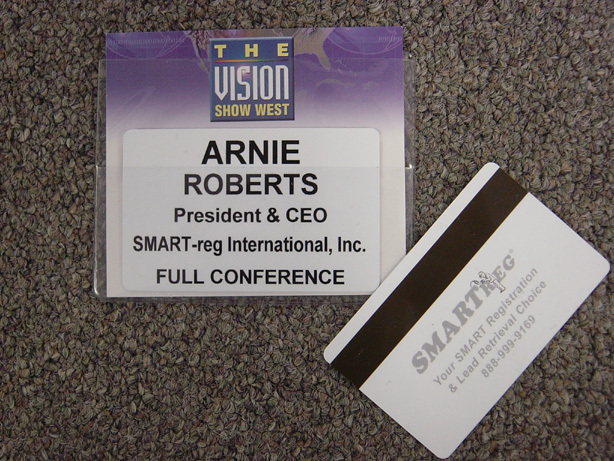 Badge Options – SMART-reg International, Inc.
RFID, MagCards and Supercharged QR Codes: We give you choices. The RFID Badge is fast, reliable and contactless. RFID allows for the elimination of paper (adding a green factor) and allows for an All in the Badge™ approach to attendee/exhibitor registration badging. Hold up to 1000 characters of information. Encode attendee entitlements (banquets, seminars, events). Secure technology that incorporates ridged authentication. Event information may be ‘marked off’ in the badge preventing use by another attendee. Eliminates the need for tickets, stickers, etc. 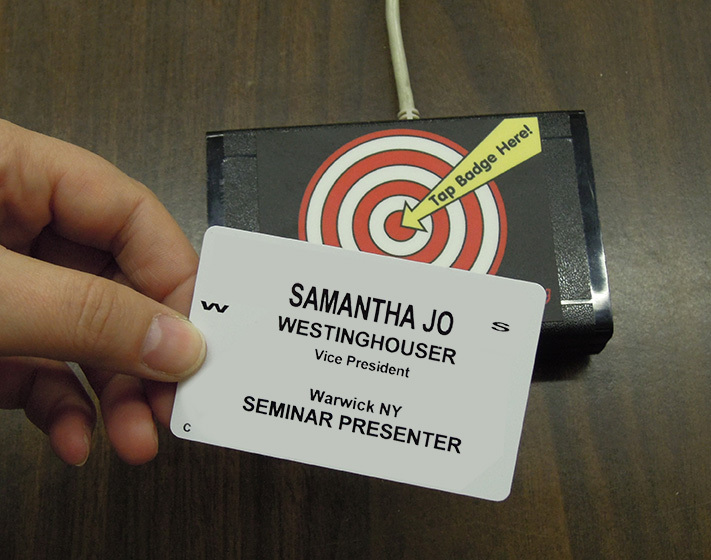 With MAGcard technology, show managers have the option to customize their own badge logo with printing capabilities on the front and back of the badge. The MAGcard can be an addition to a paper badge/tickets OR it can be an all-purpose badge/LeadCard. Front and back side promotional options. 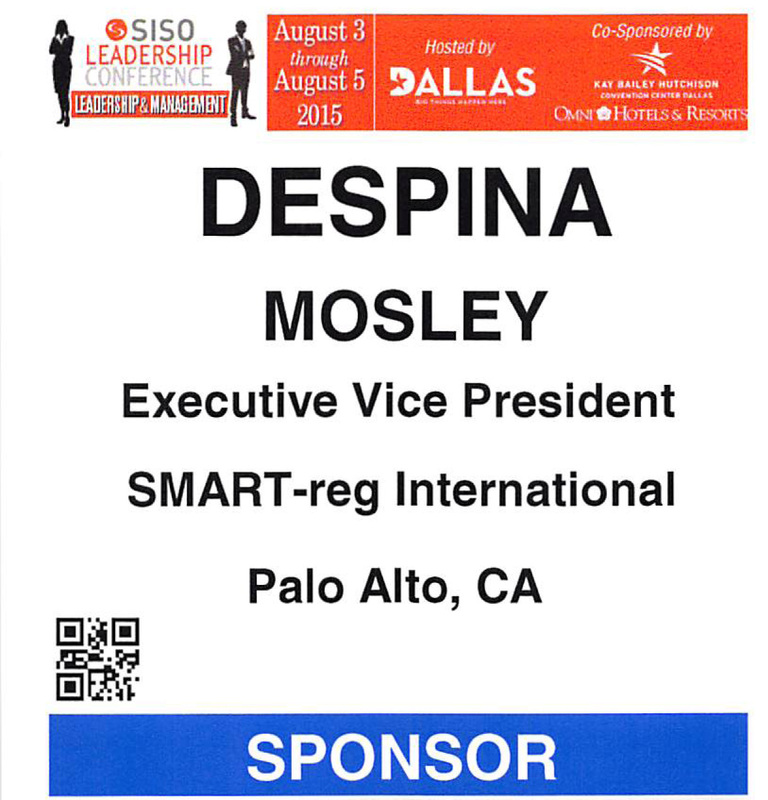 A blast from the past, QR codes are quickly becoming the preferred choice for exhibitor lead retrieval. What makes ours unique is we include more of the attendee data making it versatile for the exhibitor. We can produce this code on standard paper badges or use it along with our RFID or MagCards for a custom solution unique to your specific event.